I do not consider myself a foodie. But I love food. I really love to cook, but I hate following recipes. I do, however, like to find new and interesting ideas, giving them my own spin. One day after picking up the produce we get each week with our CSA I was faced with this dilemma: what do I do with fifteen million pounds of arugula? Okay, not really fifteen million, but a lot. And this was the third week in a row. Don’t get me wrong, I love arugula. 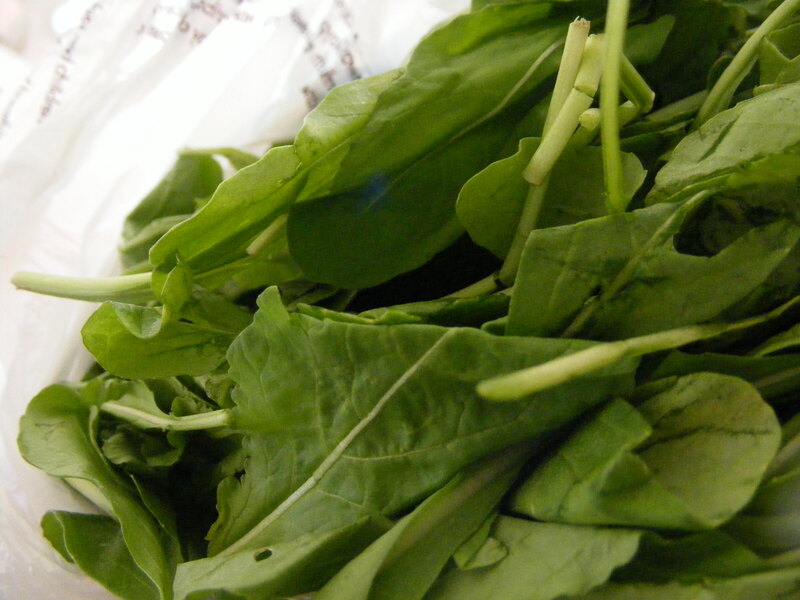 Its peppery goodness can really spice up a salad or a pizza. But I needed a little inspiration. So, I turned on the Food Network. It just so happened that the show Guy’s Big Bite was on, and what was he making, but an arugula pesto chicken. Since chicken is on the menu pretty much every night, I decided to give it a try. I didn’t follow the recipe. Partly because well, I just don’t do that. But also because I didn’t have the ingredients… or the time to go to the store to buy them. Check out his recipe if you want to try what Guy made. 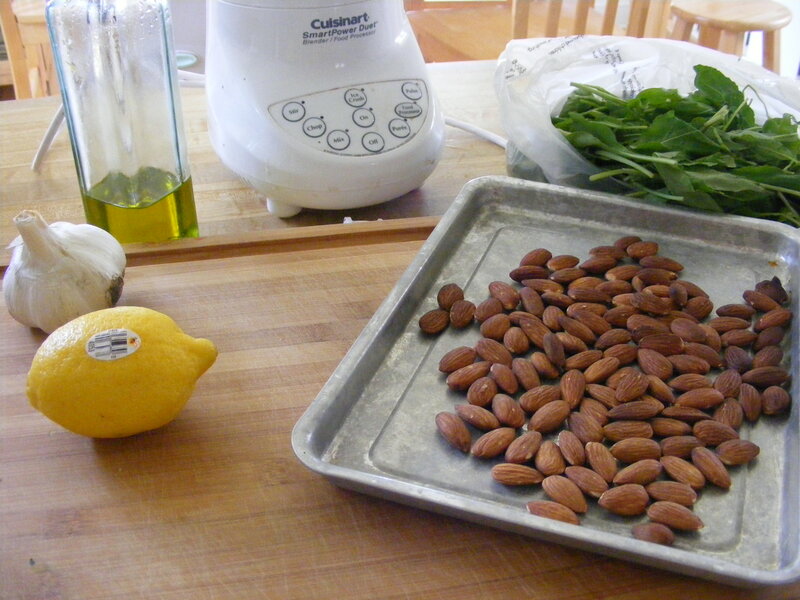 For my pesto, I used arugula, toasted almonds, lemon juice, garlic, extra virgin olive oil, and salt. Did I mention that I tend to not measure things? Ever? 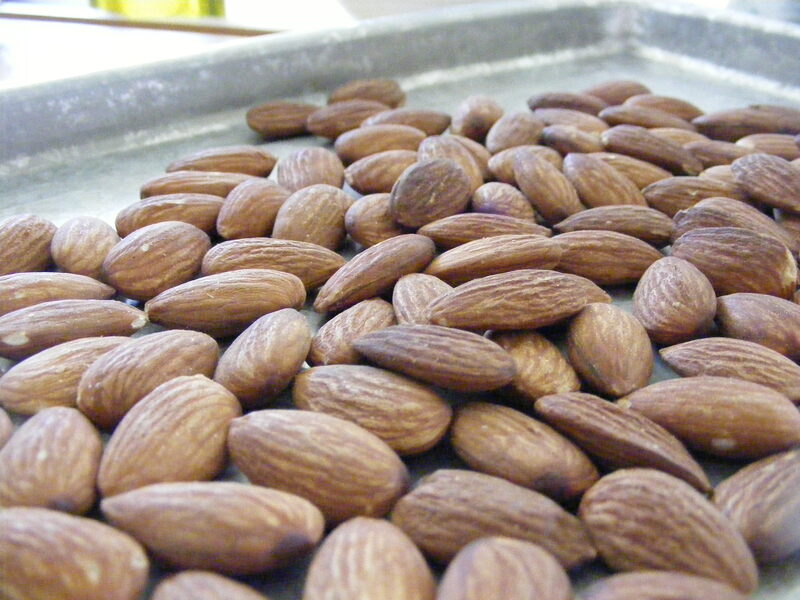 I toasted a bunch of almonds in the toaster oven. 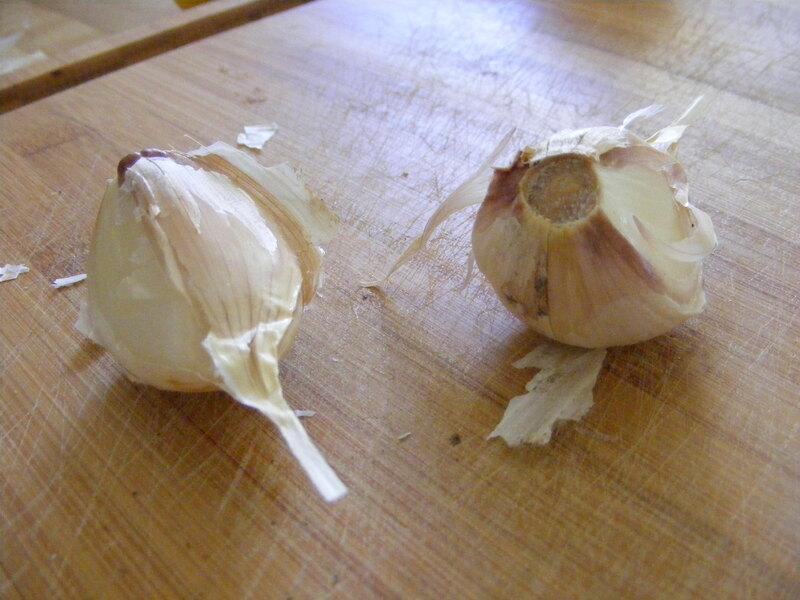 I slightly chopped two ginormous cloves of garlic. I filled the rest of the food processor with arugula. 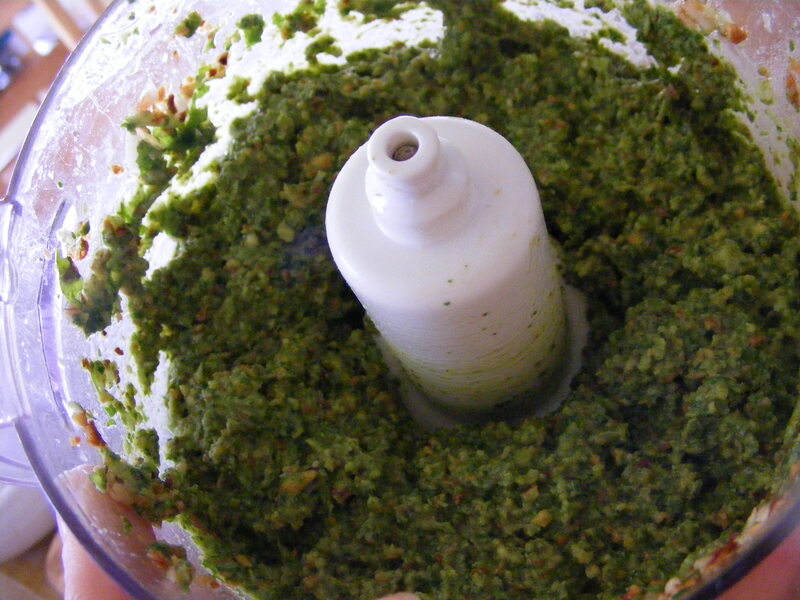 I have a smaller food processor and was only making three leg/thigh pieces of chicken — use more if you need to. 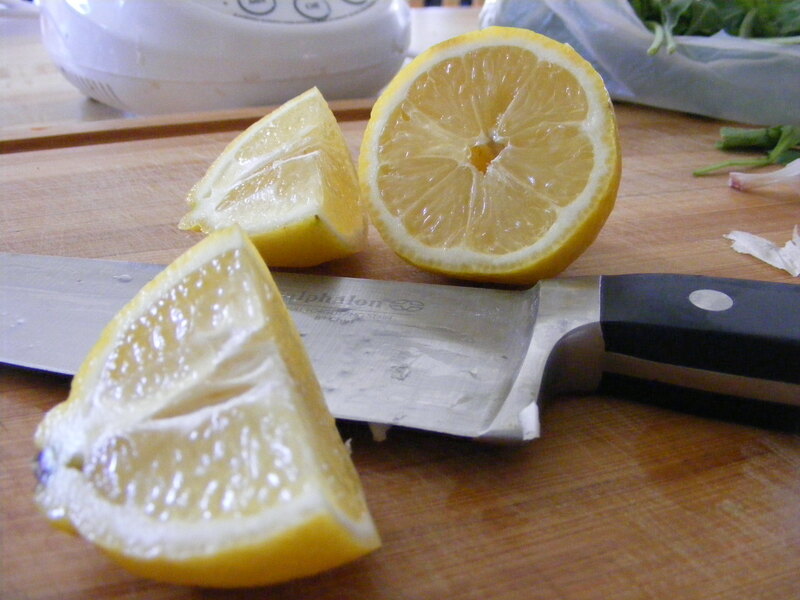 I juiced half of a lemon, then added a bunch of olive oil. So pretty!! 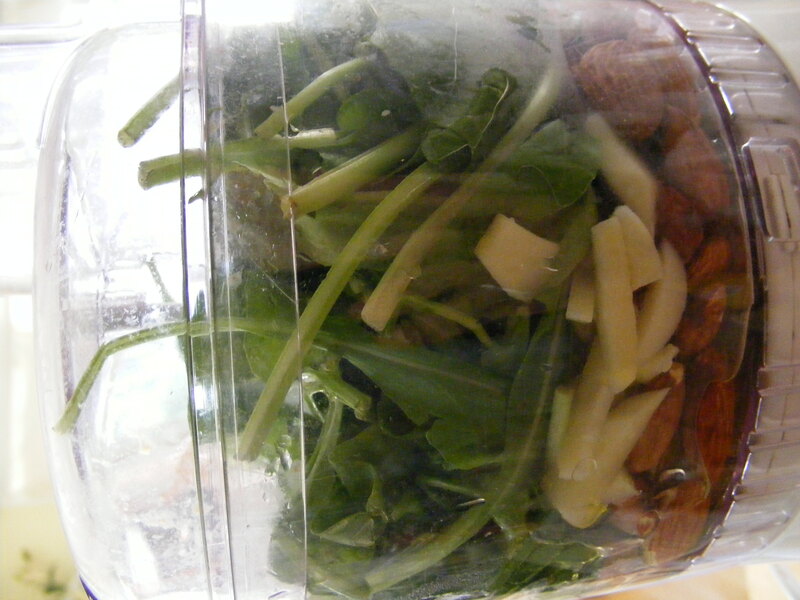 After I pulsed the food processor a bit, I ended up adding more arugula, olive oil, and a bit of salt. This was a big hit in our house. I definitely recommend trying it – or some variation of your own. Because I wouldn’t be me if I told you to follow what I did exactly. Next postKids’ Clothes Week Challenge!